"Exactly two years ago today my first post appeared on this site. It was entitled CAUTION GIVEN AFTER A CONVICTION FOR A SIMILAR OFFENCE. That was 804 posts ago. With approaching seven thousand visitors monthly this blog is still miniscule in its numbers of readers cf the other one. However I thank all who have found my literary meanderings of some interest. This exercise has however provided an avenue of escape for the writer`s frustrations at the underlying decay which is eating away at the foundations of this grand old institution, a decay which has been caused 100% by government`s determination to continue to impede the quality and efficiency of justice available to the common man in order to try and obtain it on the cheap. There are two foundations which a democratic government must provide for its citizens; protection from invasion and a justice system to allow citizens to register their agreements and to resolve their civil disagreements and to protect the them from breaches of the peace which would or could disturb a contented life. All other interventions are secondary. In the last year or so I have in consultation with my colleagues twice refused to begin a sitting at 10.00am because the non CPS court to which we were allocated had itself not had an usher allocated to it owing to non replacement of the “natural wastage” of employees. For those unfamiliar with the terminology non CPS courts involve prosecutions originating from various prosecuting authorities except the CPS eg local authorities. Inevitably many more lawyers are involved than usual as are the defendants and without an usher chaos reigns. The first such refusal produced an usher in 30 minutes, the second: 20 minutes. However much courtroom events can be converted into dry statistics I have tried to convey the reality of real people in real situations. The sheer stupidity of some of those who appear before us sometimes takes some believing. During the summer a 25 year old was in court after admitting breach of a community payback requirement. He didn`t take kindly to having a curfew imposed as a punishment in addition to the existing order. He smashed his way out of the non secure dock screaming obscenities and pushed his way out of the courtroom. A swift phone call later he was eventually arrested outside the building having damaged a couple of large flower pots. He was charged with criminal damage and resisting arrest. However on being searched he was found with a wrap of cannabis in each shoe. What kind of individual comes to court with excessive footwear of that nature? Events such as that leave one sceptical of the possibilities of rehabilitation which perhaps ten or fifteen years ago might have had some beneficial effect on him and spared society the clearing up process. Along with my colleagues I have watched the decline of CPS efficiency and despite the efforts of those in front of us its quality drains away before my eyes. I have experienced the trebling of the numbers of non represented defendants owing to the restrictions imposed upon legal aid. 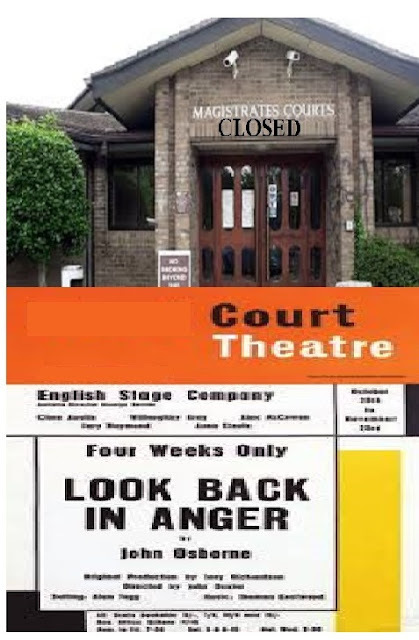 I have seen L.As who admit to having to be more effective in trying to get their overlisted courts through most of the work than ensuring defendants are treated with respect when at 4.00pm they are told their case despite assurances will not go ahead. I know that those self same good people are under the threat of redundancy when their financial outgoings are at their most precarious. I know the outrageous redundancy terms that have been put to our liason officers in the forthcoming re-organisation. I have experienced during the riots being pushed hard from on high to remand in custody; a dictate which with colleagues, I refused. I have noted that Her Majesty`s Courts and Tribunal Service treats J.P.s with disdain or even contempt. I am continually dismayed at the kow towing of the officers of the Magistrates` Association in their dealings with government brought about in part from the lack of a desire for democracy within that organisation. Simple researches for subjects worth discussion have shown that however tough the job of a police officer is the police in general are lions ordered about by donkeys in their great war against a disorderly and often dangerous section of our society. And finally some of the crass and plainly stupid statements from members of government who are making decisions which affect justice in this country lead me to have had my cynicism quotient ratcheted up by a factor of two since this self imposed release of my frustrations began. Roll on year three. Feel free to inform a friend/colleague of this website. It might assist in easing their frustrations also. I feel a bit better now."